In the lead up to the 2019 Pro Bowl presented by Verizon at Orlando’s Camping World Stadium on January 27, the NFL is hosting a week-long celebration to unite and inspire the entire football community. 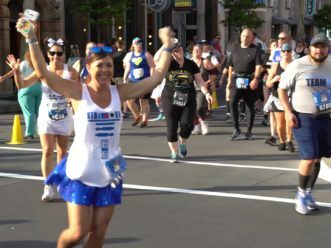 The majority of Pro Bowl Week events are set to take place once again at ESPN Wide World of Sports at Walt Disney World Resort. Throughout the week, a fan-focused program offers free interactive experiences and youth and high school football competitions. 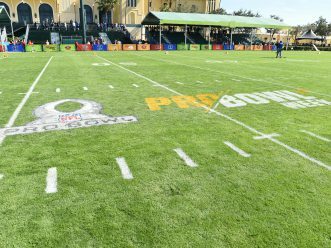 For the third consecutive year, Pro Bowlers from the AFC and NFC will compete in unique competitions at the Pro Bowl Skills Showdown – this year featuring the 40-Yard Splash Presented by McDonalds, where players will race to fill up a dunk tank and attempt to hit the target with a football. 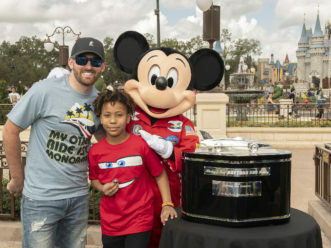 The event airs on Thursday, January 24, at 9:00 PM ET on ESPN and Disney XD. The week also offers opportunity to give back to the community. 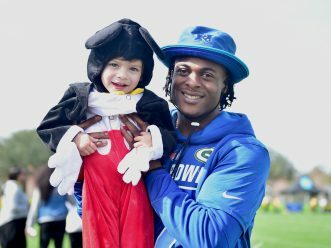 For the first time at Pro Bowl, the NFL will host Pro Bowl Community Day on Saturday, January 26 at the sports complex, when Pro Bowl players will participate in various activities supporting Community Service, Youth Football, Youth Health & Wellness, the Military Community, and Sustainability efforts. 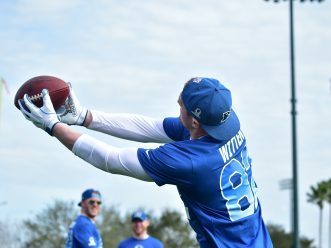 AFC / NFC Pro Bowl Practices: Wednesday, January 23 – Friday, January 25; times vary; ESPN Wide World of Sports Complex. All media availabilities will take place on the field at the conclusion of each practice. 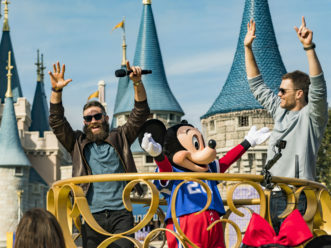 Pro Bowl Skills Showdown: Wednesday, January 23; 12:00 PM ET; ESPN Wide World of Sports Complex (taping) and will air on Thursday, January 24 at 9:00 PM ET on ESPN & Disney XD. 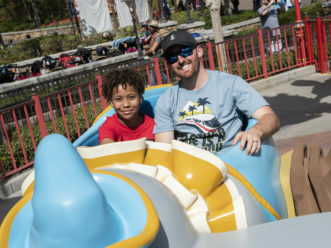 A free football festival located at ESPN Wide World of Sports Complex at Walt Disney World Resort where, among many activities and attractions, fans can participate in immersive exhibits and take photos with the 2019 Pro Bowl Trophy. As part of the partnership between KultureCity and Camping World Stadium, Pro Bowl Experience will distribute sensory-friendly packs to fans. *All attractions are subject to change. 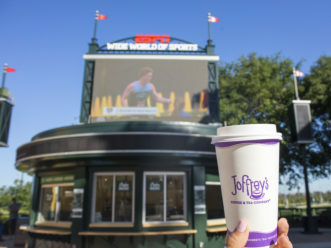 The AFC and NFC teams will practice at ESPN Wide World of Sports Complexfrom Wednesday, January 23 through Friday, January 25. All media availabilities will take place on the field at the conclusion of each practice. Practices are free and open to the public, and entry to the seating areas is available on a first-come, first-served basis. To attend practice, fans must register for Fan Mobile Pass via the Pro Bowl – Fan Mobile Pass app or onNFL.com/PBFanMobilePass. Visit ProBowl.com for more details. On Wednesday, January 23 at 9:30 AM ET, the NFL will host a free Character Camp on Field 21 at ESPN Wide World of Sports Complex. 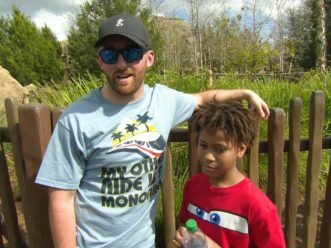 The event will include 300 predominantly-Hispanic youth from the Orlando area. The non-contact football camp will be led by Pro Football Hall of Fame offensive tackle Anthony Muñoz. The camp is part the NFL PLAY 60 Character Camps program, a partnership between the NFL and the Muñoz Agency. The mission of the camps is to make a positive impact on youth through teaching football skills, emphasizing exercise, and reinforcing the importance of character in athletics and life. This camp is hosted as part of the NFL’s year-round Hispanic outreach initiative, focused on offering youth opportunities to play and experience the game of football. Since the inception of NFL PLAY 60 Character Camps in 2012, over 90 camps have been held impacting nearly 30,000 youth across the country. Play Football Opening Night is a youth and high school focused media event for all NFL Flag Championship teams and High School Skills Showdown Athletes on Thursday, January 24 from 6:00-8:00 PM ET at The Arena at ESPN Wide World of Sports Complex. More than 700 NFL FLAG participants and Play Football High School Skills competitors will have the opportunity to mix and mingle before competition kicks off. 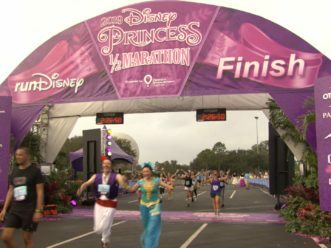 Participants will interact with NFL players – current and Legends – and Disney talent. Each NFL FLAG team and High School Skills athlete will participate in interview sessions and various activities. These activities include but are not limited to: designated team interview areas & time slots, photo opportunities, gaming lounge, vertical jump and 40-yard dash, and trophy displays. For the third consecutive year, Pro Bowlers from the AFC and NFC will compete against each other in unique competitions at the PRO BOWL SKILLS SHOWDOWN, which airs onThursday, January 24, at 9:00 PM ET on ESPN and Disney XD. The 2019 Pro Bowl Legends Captains, Jim Kelly and Demarcus Ware of the AFC and Emmitt Smith and Brian Urlacher of the NFC, will lead their respective squads. The Legends Captains will motivate, strategize, and execute a game plan for their teams. Each Skills Showdown team will feature 10 All-Stars: two quarterbacks, one running back, three wide receivers/tight ends/defensive backs, three linemen/linebackers, and one coach’s choice (non-quarterback). Gridiron Gauntlet presented by Castrol® EDGE®: Five players from each team will participate in a head-to-head relay race designed to showcase strength, speed, and agility. Competitions include a fumble scramble through an inflatable path, among others. Fans are encouraged to join the conversation surrounding the Pro Bowl Skills Showdown on social media using the hashtag #ProBowlSkills. For additional information and to find out more about week-of festivities, fans are encouraged to visit ProBowl.com. Fifty high school football student-athletes from around the country will have an opportunity to participate in position specific drills, viral challenges, and celebration dance offs during the first-ever Play Football Skills Showdown at Pro Bowl on Friday, January 25 from 12:30-3:30 PM on Field 17 at ESPN Wide World of Sports Complex. NFL Club Coach of the Year winners from each of the 32 markets had a chance to select one player from their team to participate in the Showdown. Remaining spots are for graduating high school seniors from the local Orlando and South Florida region. 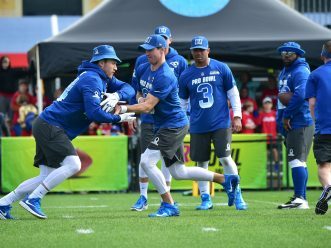 On Friday, January 25 from 6:00-8:00 PM ET on Field 16 at ESPN Wide World of Sports Complex NFL Legends, celebrities, influencers, and the youth football community will participate in a friendly but competitive flag football game during the first annual Play Football Celebrity Flag Game at Pro Bowl. 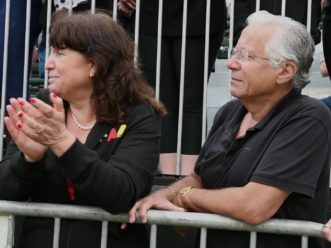 Each team will compete for a donation to an agreed upon foundation connected to youth or high school football to assist with growing the game of football. Public entry opens at 5:00 PM ET. Seating is limited so arrive early in order to secure a seat. 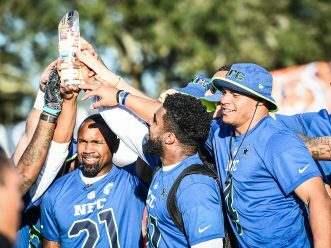 NFL FLAG Championships will be held at Pro Bowl for the third consecutive year as part of the week-long celebration of football across all levels. Over 71 youth flag football teams will compete in the NFL FLAG Championships Powered by USA Football as part of the NFL’s Pro Bowl Week in Orlando. Championship games for the 9-10 Coed, 11-12 Coed and 13-14 Girls divisions will be playedSaturday, January 26 at ESPN Wide World of Sports Complex, starting at 10:00 AM ET. All three games will be streamed live on ESPN3. NFL Pro Bowl players, Legends, and special guests will serve as guest coaches encouraging teams and engaging with fans. The 13-14 Boys championship game will be played Sunday, January 27 at Camping World Stadium during pregame. Kickoff is 1:15 PM ET and can be viewed on ESPN/ABC properties.